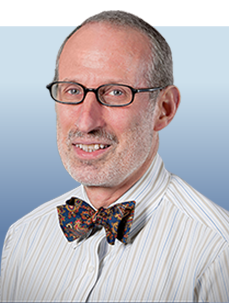 Jeffrey S. Weber, MD, PhD, is deputy director of the Laura and Isaac Perlmutter Cancer Center at NYU Langone Medical Center and co-director of its Melanoma Research Program. Helping to pioneer development of checkpoint blockade immunotherapy strategies in melanoma through clinical trials evaluating nivolumab (Opdivo) and ipilimumab (Yervoy). Leading studies into targeted therapies in melanoma including dabrafenib (Tafinlar) and trametinib (Mekinist). Advancing understanding of potential toxicities from emerging immunotherapies and how best to minimize impact of adverse events for patients. Exploring novel immune therapy concepts and the importance of tumor infiltrating lymphocytes by leading or participating in multiple cutting-edge trials. Awarded research grants from the NCI for more than 20 years including funding for several ongoing studies. Served as the principal investigator and director of Moffitt Cancer Center’s Specialized Programs of Research Excellence (SPORE) grant for skin cancer and melanoma research from the NCI. Played a leadership role in many melanoma organizations, including the Melanoma Research Foundation, Melanoma Therapeutics Foundation, the NCI’s Clinical Oncology Study section, and the US Veterans Administration’s Clinical Oncology section, where he served as chair.